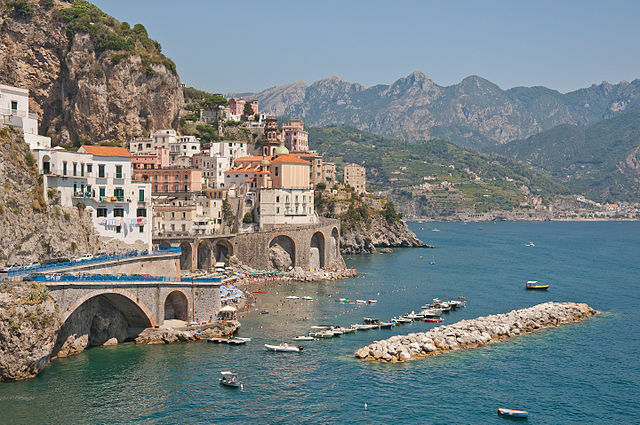 Choose to go motorcycle touring in Italy and you’re sure to have an unforgettable adventure. The variety of roads in Italy is simply amazing, you can choose to ride through the snowcapped passes in the Alps to roads which cut through the rolling green hillside. There are roads to please any and every type of rider and, no matter what you’re in to, there’ll be a view that will take your breath away. And the adventure doesn’t stop when you get off the bike as you’ll get to enjoy the delicious local cuisine, in a country steeped in history. The Stelvio Pass is a dream road for any motorcyclist. The road, which has a wonderfully maintained surface, peaks at 2,757 m, making it the second highest pass in the Alps. With 60 switchback hairpin leading to the peak, this road is a beast to ride. 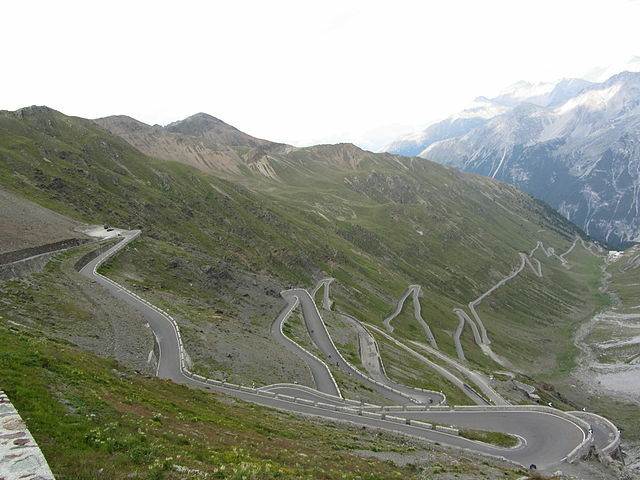 In fact, it’s probably more accurate to say the Stelvio Pass is a road you conquer, rather than ride. The route stretches almost 50 km (31 mi) before you reach the peak, so take your time and enjoy it. The road along the Amalfi Coast is definitely the best of both worlds in terms of how enjoyable the ride is and how beautiful the scenery is. 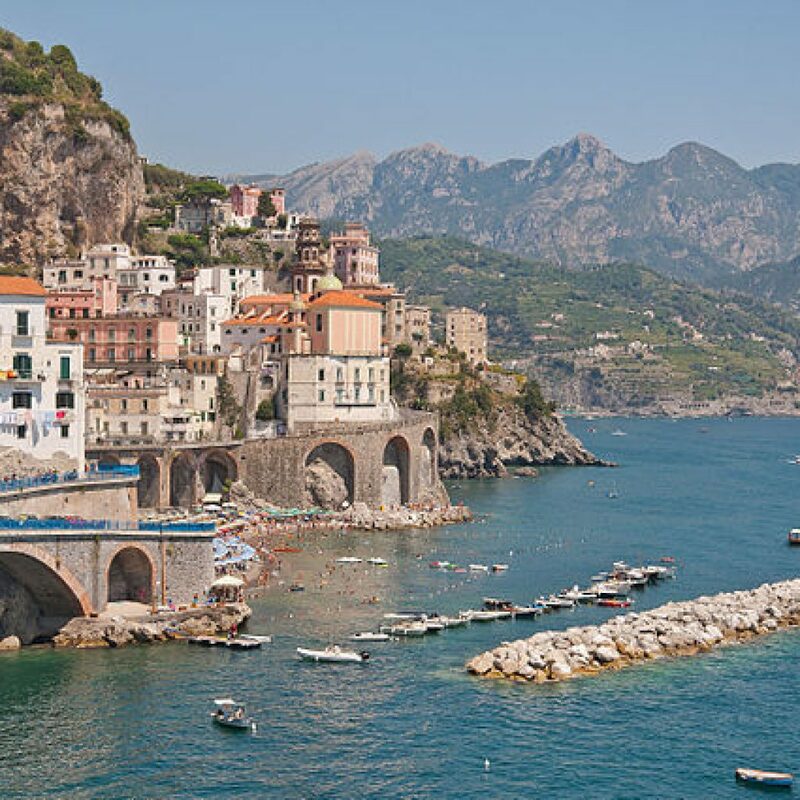 The route hugs the coastline between the towns of Sorrento and Salerno. 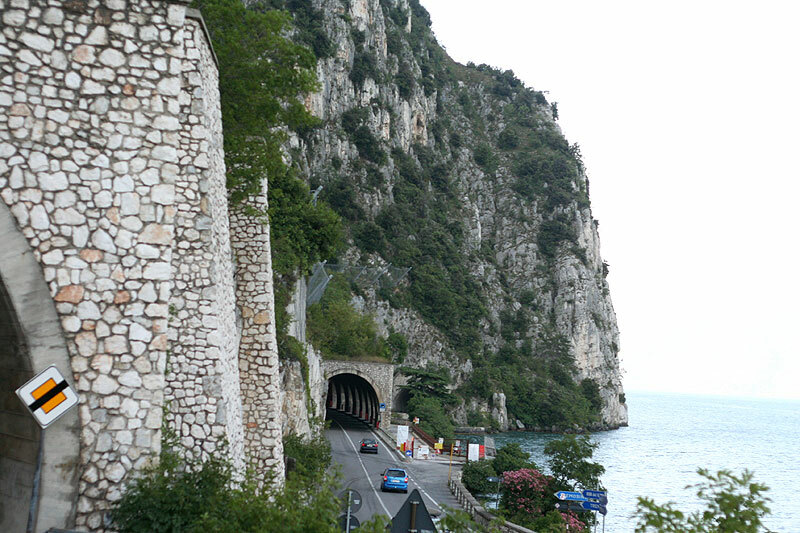 The road, which was originally built by the Romans, is carved out of the cliff face overlooking the water. So, you can enjoy the road which as endless hairpins and steep hills, or ride a bit slower and take in the waves crashing against the cliff’s edge beneath you. The whole route is 50 km (31 mi), but you may find yourself wanting to do it again and again. Ride the SP10 lies south-east of the city of Terni and experience the limestone rocks of the western Apennines. The road surface on the Leonessa side is known to be poor so it’s best to tackle this route on an adventure bike. To get the most from this road, you should ride it from north to south, as you’ll be saving the best piece of road for last. The whole route is around 36 km (22 mi). The Strada della Forra is considered to be one of the most beautiful roads in Italy, if not the most beautiful. 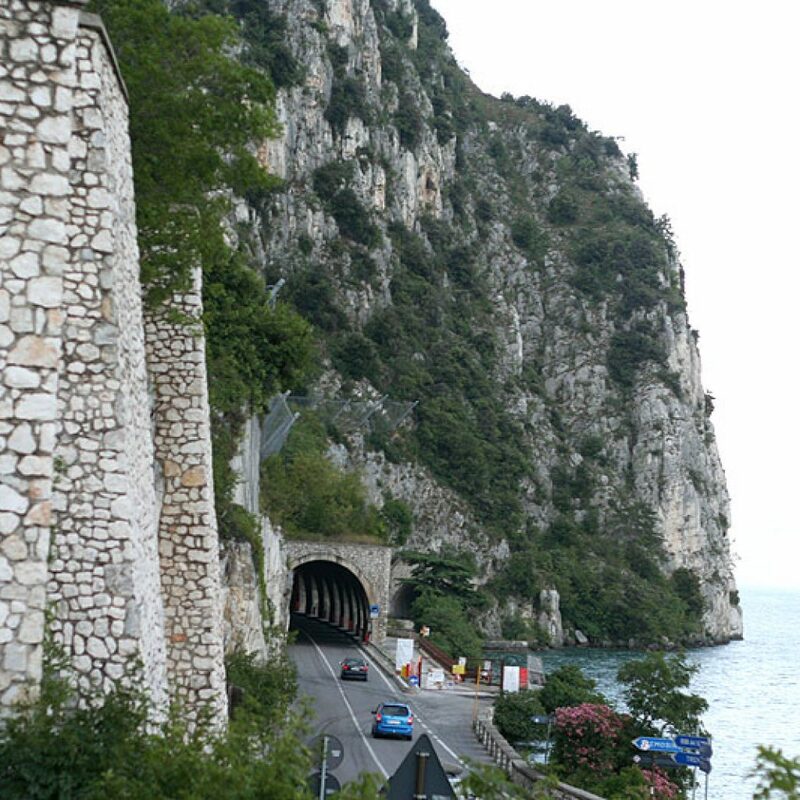 The road itself runs along the mountains by Lake Garda and links Tremosine with the districts of Pieve and Visio. 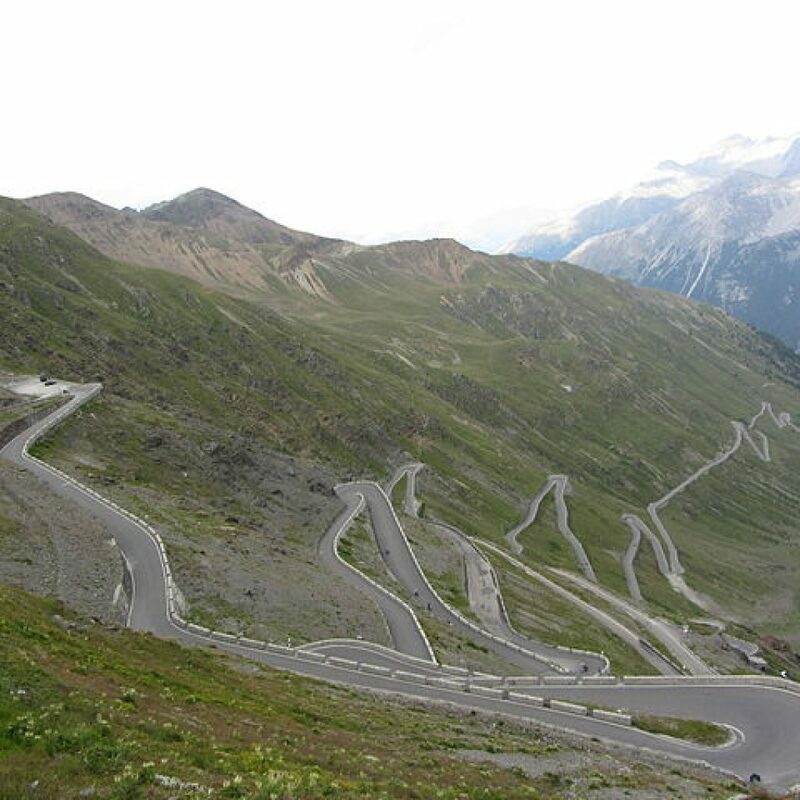 Winston Churchill considered the Strada della Forra to be the 8th wonder of the world and Frankfurter Zeitung even called it “the most beautiful road in the world”. The road as featured in several commercials and movies, including James Bond Quantum of Solace. The whole route can be completed in around 10 minutes and the road is around 10 km (6 mi). Ride the SP251 from Casteldelfino to Passo Del Angelo at the right time of year and there’s no doubt you’ll have your breath taken away. The single track road sits on the third highest pass in the Alps and passes from north-east Italy to France. For whatever reason, this route is not as popular as some of the others, so shouldn’t be too congested. The Passo Del Angelo closes over winter due to snowy weather, choose to ride it right after it reopens and you’ll be treated to snowcapped mountains like the ones below. The whole route is around 19 km (20 mi). 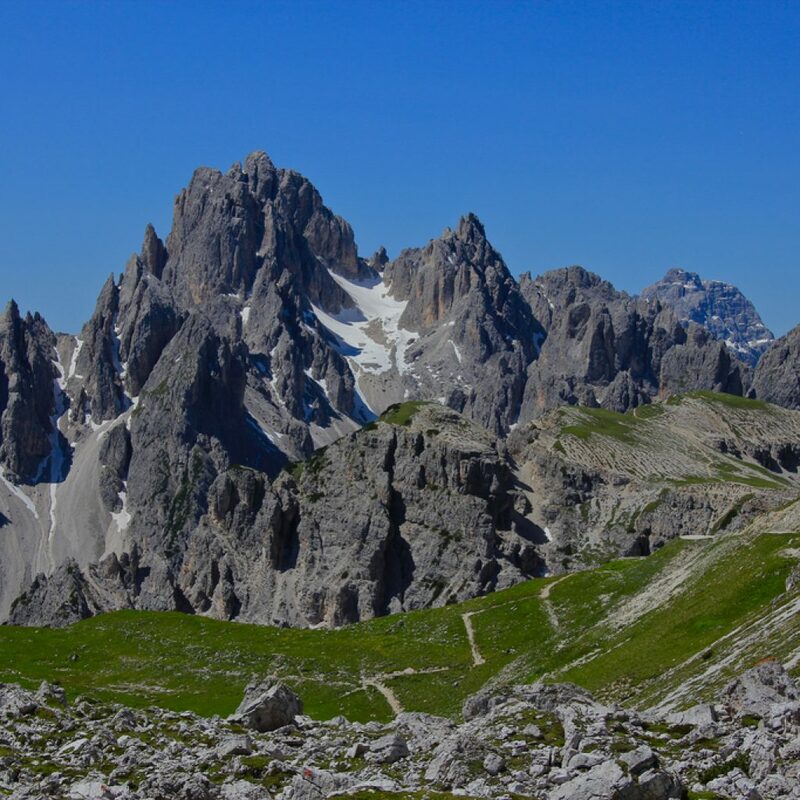 The Great Dolomite Road is regarded, not only as one of the best roads in Italy but one of the best in Europe. 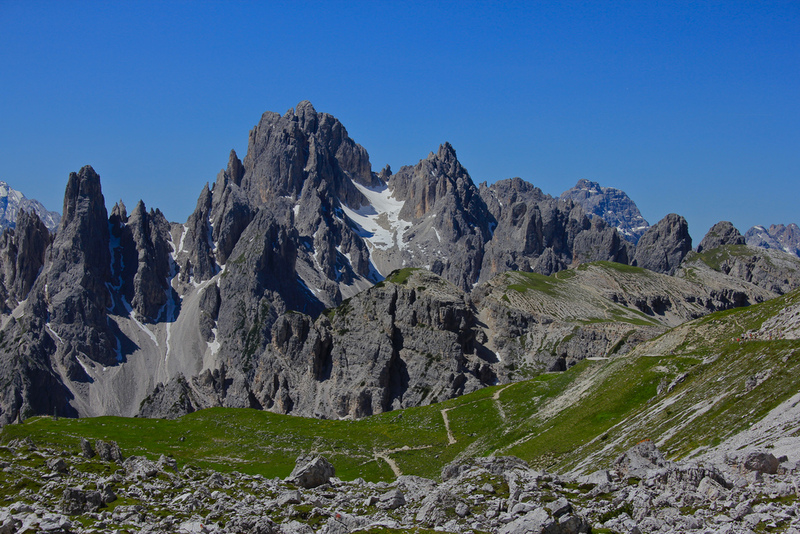 It connects the Bozen and Bolzano regions and crosses three alpine passes including Falzarego, Porrdoi, and Karerpass. The road has everything you could want from a motorcycle touring route. It’s very well maintained, has countless twists and turns and, at some points, reaches a maximum gradient of 12 percent. The views are phenomenal too, as you ride over some of the highest peaks in the range and pass through multiple mountain villages and ski resorts. The SS120, also known as the Strada Statale 120, runs from Sicily to Fiumefreddo di Sicilia. This region of Italy is littered with fantastic roads but the SS120 is one of the main roads in the Sicilian region. 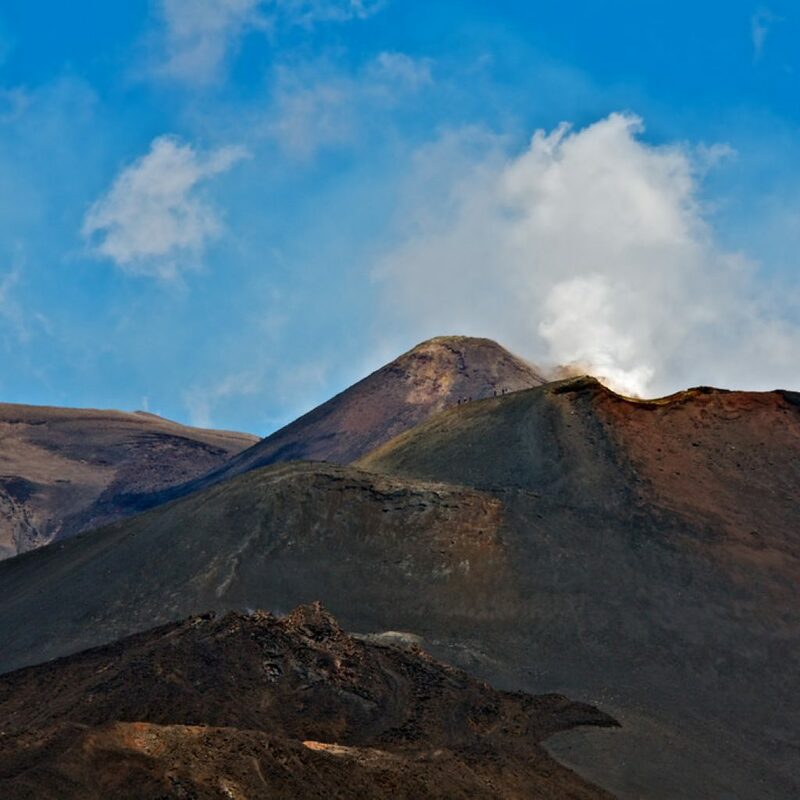 The SS120 is an extremely scenic route and it’s also known as the Four Parks Road, as it crosses or passes by the Madonie Park, Nebrodi Park, Alcantara River Park, and the Etna Park. 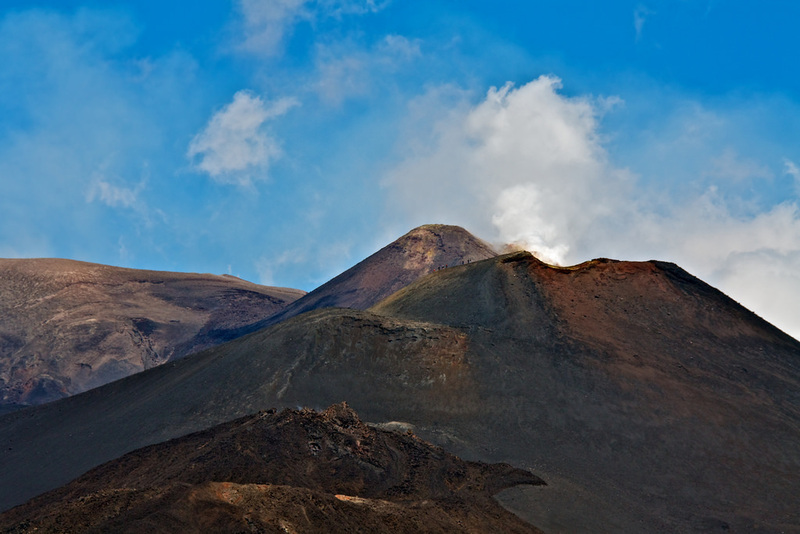 The SS120 is a mountainous road and provides some spectacular views of Mount Etna. The SS103 is a fantastically unique piece of Italian engineering or, what some might call, over-engineering. This road is elevated about 20 meters above the surrounding farmland. While this route isn’t about the sheer thrill of the ride, it is a wonderfully serene experience to ride over the seemingly untouched green hills. The road itself is around 5 km (3 mi) long and, once you’ve finished riding it, it’s worth checking out how it looks from one of the surrounding hills. Those travelling from Australia and the U.S. can stay in Italy, visa-free, for up to 90 days. As Italy is in the Schengen zone, citizens from other Schengen zone countries don’t need visas to visit Italy for trips of less than three months. According to ATA Carnet, Italy is listed as a country which requires a carnet. Although the ATA Carnet website states, “If goods are properly imported into one EU carnet country and re-exported from a second EU carnet country, the Carnet holder is unlikely to encounter any claims fees.”. If your motorcycle wasn’t insured in Italy it must have either an EU registration plate or a sticker, placed next to the number plate, indicating its country of origin. You are required to have motor insurance when motorcycle touring in Italy. Before you leave, contact your insurance company and inquire about your coverage abroad or contact the Italian branch of your motor insurance company. There are, generally speaking, no problems with the quality of fuel in Italy. You will find a lot of self-service fuel stations. But, in more rural parts of Italy, some fuel stations will only accept cash, so remember to always carry some. While many of the roads in Italy are well-surfaced, some of the roads are not and this can be especially true in more rural areas. Roads can go from good to bad almost instantly, so be mindful of this when riding. You can pay upon entry and exit of the toll road. You are charged for the distance you drive and rates vary depending on vehicle type. A Vincard, which is a toll pass-card, offers reduced rates and allows the user to use priority lanes. This card is swiped at toll gates and can be purchased at banks, tollbooths, and service stations. A sensor can be attached to your bike, called a Telepass. The Telepass is a subscription toll pass service. Each time you pass through a tollgate, the amount you owe will be deducted from your account. There’s no need to stop at a tollbooth with a Telepass sensor, you just need to slow down to 30 km/h (18 mph) and the barrier will open automatically. You and your pillion must carry reflective vests in case you break down or get into an accident and are stranded on the side of the road. If you require glasses or contacts to drive you must carry a spare pair or set while driving. In Italy, you ride on the right-hand side of the road. You may not ride in a bus or cycle lane, it is an offence to do so. In developed areas, give way to traffic from the right. You must always ride with your lights on. The best weather falls between June and September but, since this weather also attracts more tourists, the roads will be more congested during these summer months. If you choose to tour Italy in early spring or late autumn, the roads will be less congested but you run the risk of encountering bad weather. This is especially something to be mindful of if you want to ride the alpine roads. The Venice International Film Festival runs from late August until early September but, if this doesn’t fall in line with your trip don’t worry, there’s a lot more to see in Italy. Popular sights like the Colosseum and Pompeii are open year round and definitely worth seeing. Check out our blog for articles on our experiences in adventure riding in Europe, read our guide to Motorcycle touring in Europe or read our general Adventure Motorcycle Touring Guide.